The Williston Northampton School will celebrate its 171st Commencement at 9:30 a.m. Saturday, June 2, on the quad at 28 Park Street, Easthampton, MA. The ceremony will be webcast live at www.williston.com/live. For Commencement details, click here. Joanna T. Lau P ’13, founder and CEO of LAU Technologies, will be the guest speaker. Founded by Ms. Lau in 1990, LAU Technologies is an executive consulting and investment company in Concord, Massachusetts. At the onset, LAU Technologies specialized in defense technology and military contracts. The company now provides debt and equity financing and consulting to mid-range companies. Over the past 22 years, LAU Technologies has been recognized by the U.S. Army, Prime Contractors, and the Small Business Administration for their work in defense technology and finance. Ms. Lau was named the 1995 National Entrepreneur of the Year sponsored by INC and Ernst & Young LLP, and has been awarded the Mass High Tech All-Star Award, and the First New England Women Leadership Award. She serves on the board of directors of DSW Inc., ITT Education Service Inc., John F. Kennedy Library Foundation, Nellie Mae Education Foundation, National Association of Corporate Directors, and the National Defense Industrial Association. 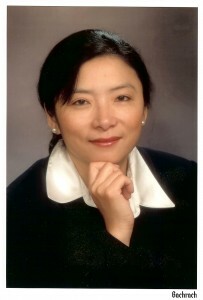 Ms. Lau holds a BS in Computer Sciences and Applied Mathematics from SUNY Stony Brook, an MS in Computer Sciences from Old Dominion University, and an MBA from Boston University. She has also been awarded honorary doctorate degrees from Bryant University, Bentley University, and Suffolk University.